Transitionally styled with a decorative seat back that features interlacing rattan ovals and exposes the cream-colored cotton fabric upholstery, this lounge chair is sophisticated yet casual. Both the seat and seat back offer Poly-Dacron filled cushions for lasting comfort, and the genuine solid rattan frame offers curved, sweeping lines for a unique look that allows for a slightly reclined, leisurely posture. Give your home a unique edge in terms of design and decor when you incorporate this genuine solid rattan, artisan-woven lounge chair. The rattan frame features a rustic umber finish that is complimented by Chenille Bronze fabric upholstered seat and seat back cushions. Cushions are Poly-dacron filled for lasting seating comfort. 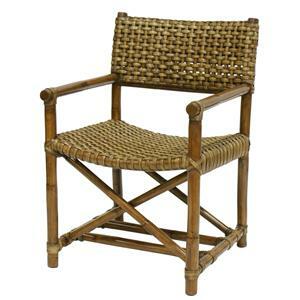 Bring a touch of natural beauty and Asian artisan tradition into your home with this genuine solid rattan side chair. 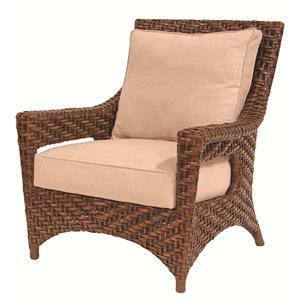 The chair features expertly woven natural fibers with a Honey Brown stain finish in a casual design style. Transitionally styled with an upholstered seat back to match the cream-colored cotton fabric upholstery of the seat and backrest cushions, this lounge chair offers a sophisticated design with plush comfort. 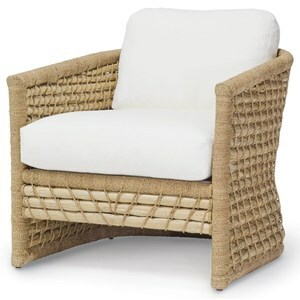 Both the seat and seat back offer Poly-Dacron filled cushions, and the genuine solid rattan frame offers curved, sweeping lines for a unique look. 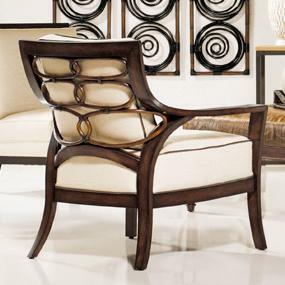 Feature this chair as a dining side chair or as an accent chair in any room of the home for untouchable style. Constructed from Asian hardwood solids and veneers, this coffee table displays an artful split construction of Abaca and Rattan. This table is completely unlike any other, offering a bulbous artisan woven body and finished with cylindrical legs and a smoothly polished, round serving top for you and your guests. Add instant style to your home when you include this transitionally styled cocktail table. 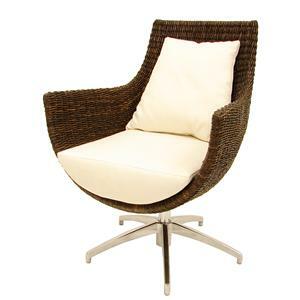 This transitionally styled chair outfits the modern European design of the egg chair with a traditional Eastern woven rattan frame for a refreshing union European and Asian design. The chair features Poly-Dacron filled cushions for comfortable lounge-style seating and a swivel base for convenience. 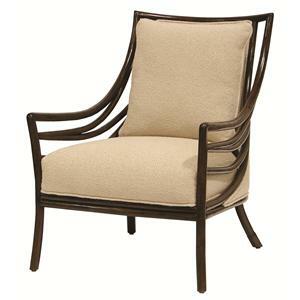 Feature this unique chair in any room of the home as an accent and enjoy the encompassing comfort of its concave frame. A tropical look with a worldly and sophisticated touch, this lounge chair is an impeccable addition to the relaxed living room or sun room. 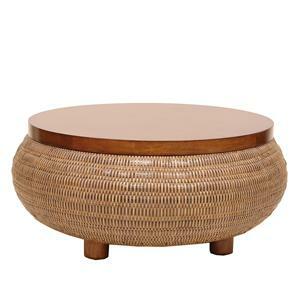 The frame is crafted from sustainably-sourced, plantation grown rattan and woven lampakani grass. The pole rattan is tied in place with seagrass and lampakani rope, creating a beautiful chair with a natural look and the lasting durability of high grade rattan. The plush seat is either our Standard cushions or Deluxe cushion construction for a body-pleasing feel that lasts.